How much is Rob Corddry Worth? Rob Corddry net worth: Rob Corddry is an American comedian and actor who has a net worth of $10 million dollars. 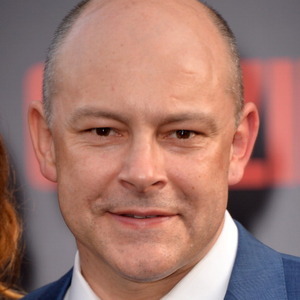 Rob Corddry was born in Weymouth, Massachusetts. Corddry attended the University of Massachusetts at Amherst. He intended to focus on journalism, but ended up spending more time in the theater department. Rob appeared in multiple plays during his years in college, and subsequently moved to New York City to pursue a career in performance. He worked multiple odd jobs before he began landing steady acting work, first touring with the National Shakespeare Company, and then appearing with Upright Citizens Brigade on their Comedy Central show. He auditioned for "The Daily Show" in the early 2002, and became one of the show's most popular correspondents. He left the show in 2006, and has since guest-starred in multiple films, including "The Heartbreak Kid", "Blades of Glory", "Harold and Kumar Escape from Guantanamo Bay", and "Seeking a Friend for the End of the World". He also regularly returns to "The Daily Show" as a guest correspondent. He recently joined the cast of "Happy Endings".